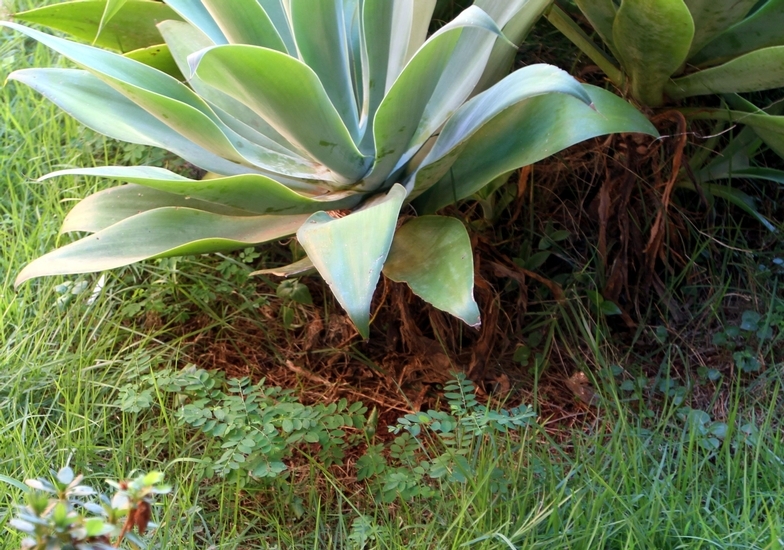 An erect perennial with alternately arranged leaves that consist of two rows of alternately arranged leaflets. 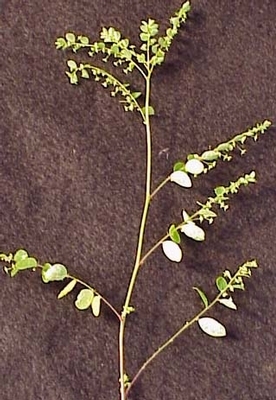 Long-stalked phyllanthus is primarily a weed of greenhouses, and container ornamentals, and has only appeared recently in Virginia due to transportation of nursery stock, ornamental flowers, etc. across state lines. It has also been found in some other southeastern states. Arranged alternately along the central stem. 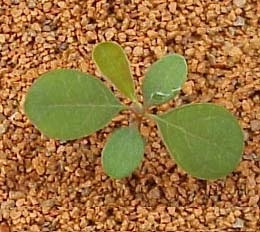 Leaves are divided into two rows of alternately arranged leaflets. Each leaflet is oval to elliptic in outline with a small projecting tip at the apex, especially on older leaves. 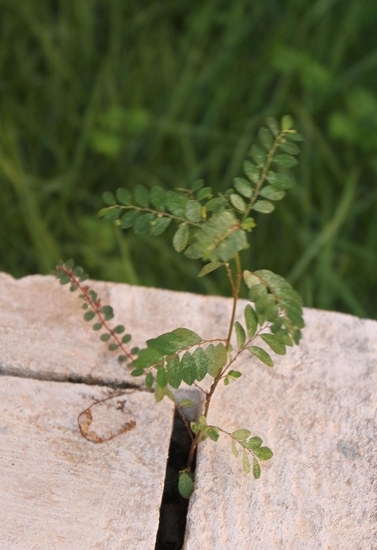 Leaflets are without petioles. 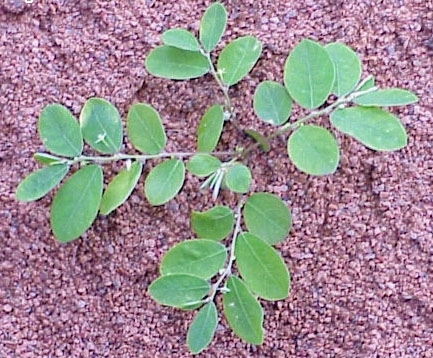 Leaves are without hairs (glabrous). Small, inconspicuous, white to greenish-white in color, arising from the area between the leaflets and central axis of the leaf. Individual flowers occur on flower stalks (peduncles) and are star-shaped in outline. Small capsules that arise from the area between the leaflets and the central axis of the leaf. The capsules are green in color, round, without hairs, and also occur on long stalks that often dangle below the leaves. 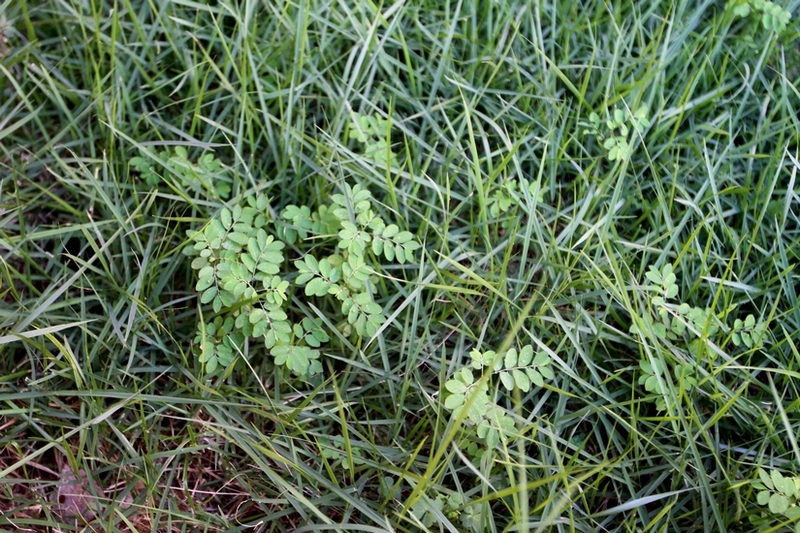 The alternately arranged leaves that consist of 2 rows of alternately arranged oval leaflets, erect growth habit, and small inconspicuous star-shaped flowers are all characteristics that help to distinguish long-stalked phyllanthus from most other weeds.